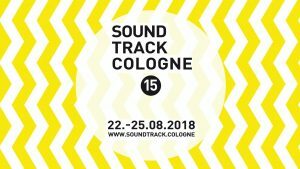 SoundTrack_Cologne 15 will take place from August 22 – 25, 2018. Stay tuned for a great line-up of Film, TV and Video Game Composers and Music Supervisors for the annual SoundTrack Cologne Music Conference in Cologne, Germany. 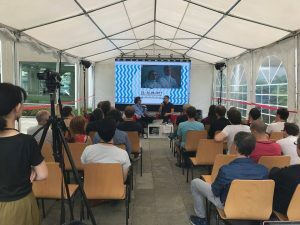 SoundTrack_Cologne announces full Film Composer line-up for their music conference August 23 – August 27, 2017. 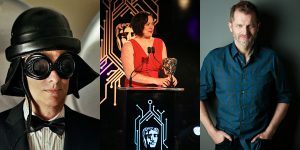 Check out Kinetophone for program info, including composers Johnny Klimek (Cloud Atlas), Michael Beckman (FACK JU GÖHTE), Tom Stoewer(Wendy) and Music Supervisor Sarah Bridge (The Theory of Everything). 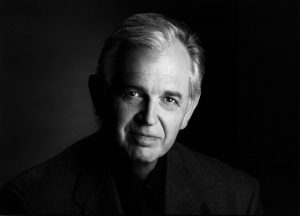 Soundtrack.net reports that film composer Bruce Broughton will be awarded this year’s Lifetime Achievement Award of SoundTrack_Cologne. Jessica Curry, Christian Henson and Christophe Héral confirmed for Soundtrack_Cologne 13.